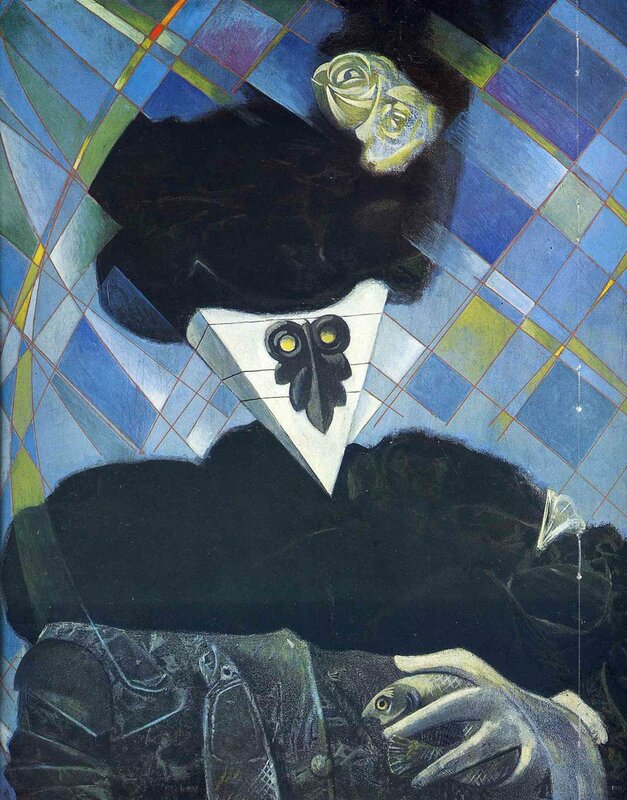 by Max Ernst (1891-1976) , painted in 1945 (oil on canvas, 65 x 57.5 cm). It’s the morning after the conference dinner the night before, so as Day 4 of the Euclid Consortium meeting gets under way I’ve just got the time and bandwidth to do a brief post about the events of yesterday. First of all, the conference photo arrived and is shown above. You’d be hard pressed to spot me in it, as there are a lot of people in it (and bear in mind that only about a quarter of the membership of the Euclid Consortium are actually present here in Bonn). 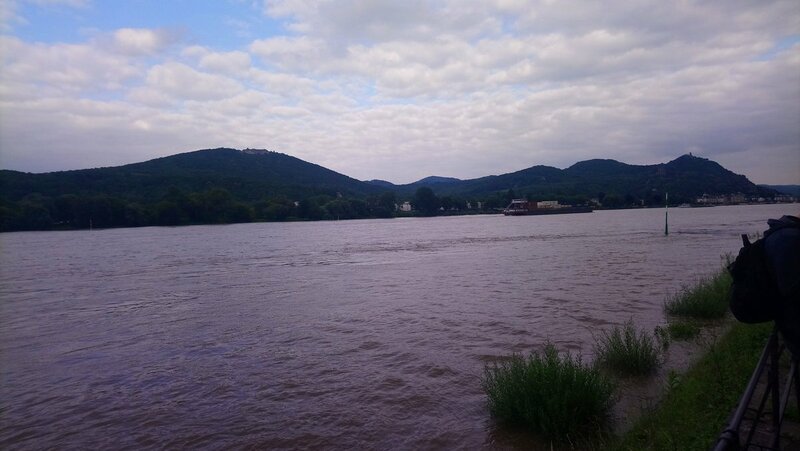 After the day’s work was done I took a walk down to the western bank of the Rhine (just about 15 minutes’ walk from my hotel), on the way to the conference dinner at the . Sadly, I didn’t see any Rhine Maidens or find any gold to make into a ring. 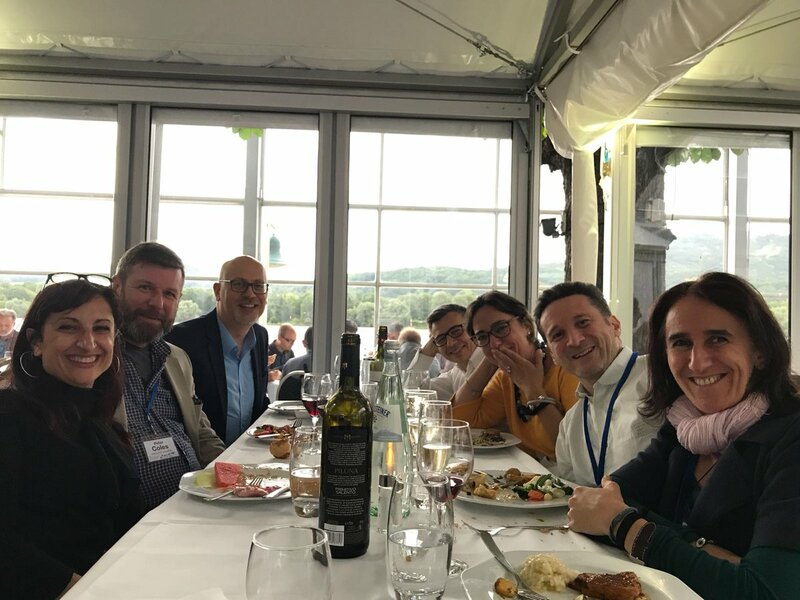 Anyway, the dinner was at the splendid Rhein Hotel Dreesen and I had the good fortune to sit with some Italian friends from way back – by which I mean over 20 years! Fortunately I didn’t have far to go to get back to my hotel after the festivities! I’ve just had my breakfast so I thought I’d do a quick post before the start of play at Day 3 of the 2018 Euclid Consortium Meeting in Bonn. 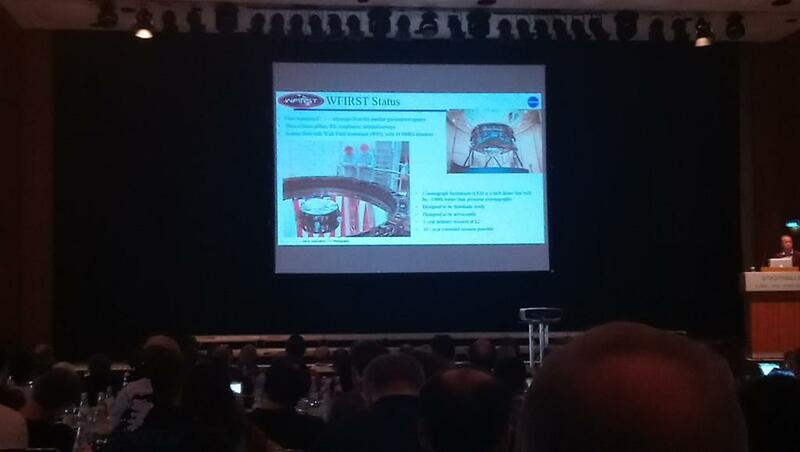 Day 2 was largely devoted to updates from the various Science Working Groups, but there was also an important presentation from Jason Rhodes about WFIRST, which is in some ways a rival to Euclid, or perhaps a complementary mission depending on how you look at it. There was dismay in the global astronomy community last year when Donald Trump proposed taking the axe to WFIRST but it was good to hear that Congress not only reversed his decision but granted it additional funds over and above the original request. 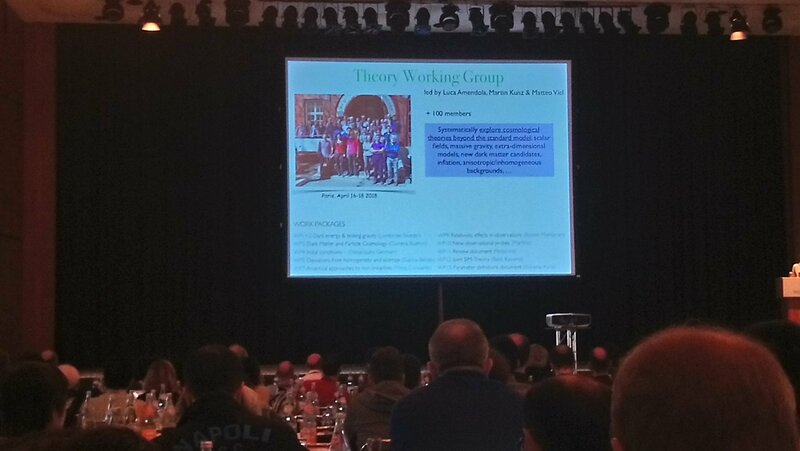 Among the SWG updates was one by Alessandra Silvestri from the Theory Working Group concentrating on how Euclid could be used to test cosmology beyond the standard model. She focussed quite a lot on Horndeski Gravity, which is the most general four-dimensional scalar-tensor theory that leads to equations of motion that have the form of second-order differential equations. 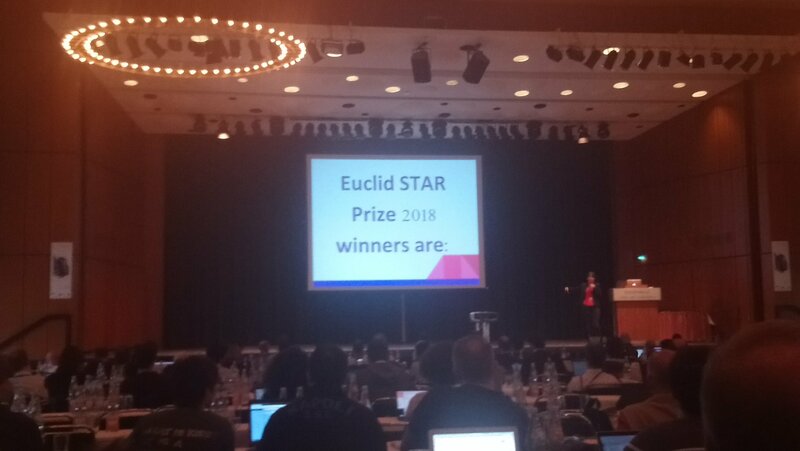 Towards the end of the day there was a session devoted to the award of the Euclid Star Prizes. The individual awards went to Micaela Bagley, Carmelita Carbone, Teake Nutma, Bertrand Morin, and Stefanie Wachter; more details on the winners and the awards they won will be posted here. The team award was given to the Flagship simulation team. Coincidentally, I posted about the Flagship simulations last year. Much of the preparation for Euclid would be impossible without these simulations, and the award of a prize to the team is very well justified. The day finished with short talks from each of the prizewinners. That brought to the end two days of plenary sessions in the big hall of the Stadthalle. The next two days will be the `Splinter sessions’ which are held in parallel. Oh, and one other thing: the 2019 Euclid Consortium Meeting will be held in Helsinki from June 4-7. Looks like I’ll be spending my birthday in Finland next year! P.S. Previous Euclid Consortium meetings were: Bologna (2011); Copenhagen (2012); Leiden (2013); Marseille (2014); Lausanne (2015); Lisbon (2016); and London (2017). Credit: J. Carretero/P. Tallada/S. Serrano for ICE/PIC/U.Zurich and the Euclid Consortium Cosmological Simulations Science Working Group. The above image is taken from the world’s largest simulated galaxy catalogue, which has been constructed to help prepare for the forthcoming Euclid space mission. 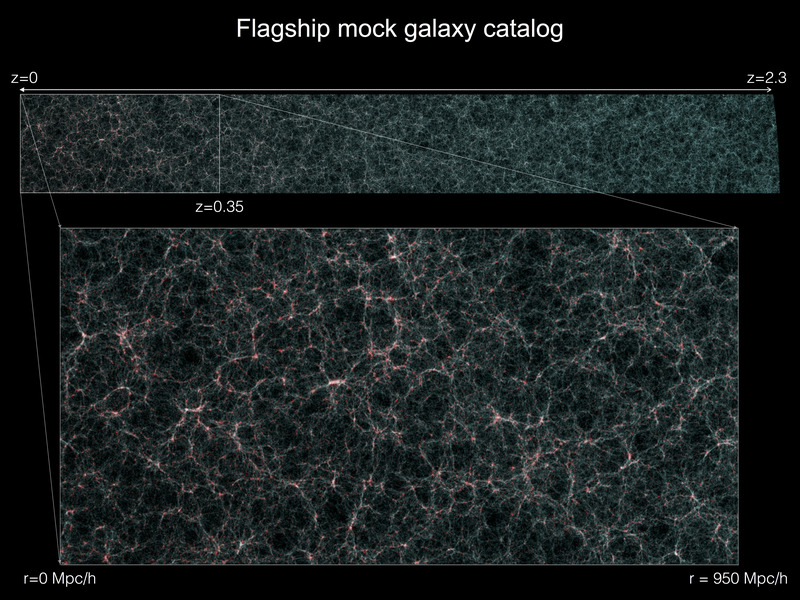 The image actually shows only a small part of the full Euclid Flagship mock galaxy catalogue, which contains more than 2 thousand million galaxies distributed over the 3-dimension cosmological volume that Euclid will survey. Synthetic galaxies in this simulation mimic with great detail the complex properties that real sources display: ranging from their shapes, colours, luminosities, and emission lines in their spectra, to the gravitational lensing distortions that affect the light emitted by distant galaxies as it travels to us. The simulation is large enough to allow full `light-cone’ effects to be taken into account, as the look-back time to the edge of the Euclid survey volume is long enough for significant evolution to have occurred; according to the standard cosmological model, the time taken for light to travel from redshift z=2.3 to now is about 10.8 billion years, a significant fraction of the age of the Universe. `Mock’ catalogues like this are needed to plan large observational programmes, whether using space missions or ground-based facilities, and to help prepare the data analysis strategies and tools needed to deal with the real data when it arrives. They can also be used to make excellent images for PR and outreach purposes. So it’s only the third entry that gives the meaning intended to be conveyed by the usage in the context of cosmological simulations. This is worth bearing in mind if you prefer old-fashioned analytical theory and want to wind up a simulationist! Yesterday was a very busy day: up early to check out of my hotel and head to the third day of the Euclid Consortium meeting for the morning session, then across to the Institute of Physics for a Diversity and Inclusion Panel meeting, then back to the Euclid Consortium meeting for the last session of the day, then introducing the two speakers at the evening event, then to Paddington for the 7.15 train back to Cardiff. I was not inconsiderably tired when I got home. I had to bale out of the evening session to get the train I was booked on, but it seemed to be going well. 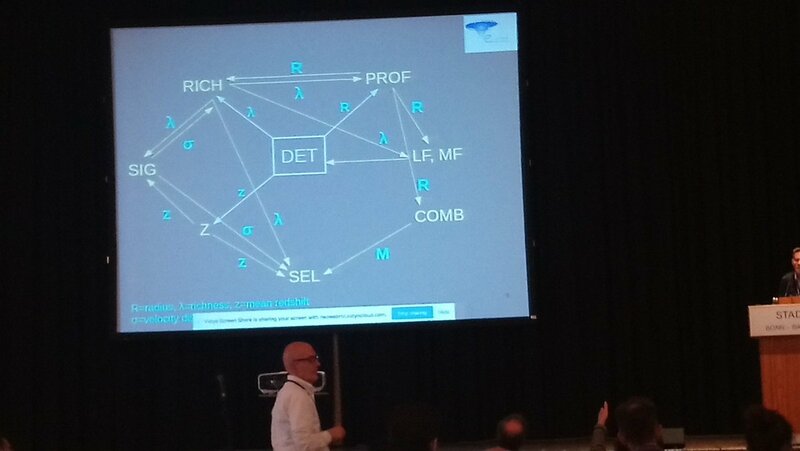 Before I left, Ofer Lahav asked for an informal show of hands about a few possibilities relating to the nature of Dark Energy. Since today is polling day for the 2017 General Election, I thought it might be a good idea to distract people from politics for a bit by running a similar poll on here. The cosmological constant, originally introduced as a modification of the left hand side of Einstein’s general theory of relativity – the side that describes gravity – but more often regarded nowadays as a modification of the right-hand-side representing a vacuum energy. Whichever interpretation you make of this, its defining characteristic is that it is constant. 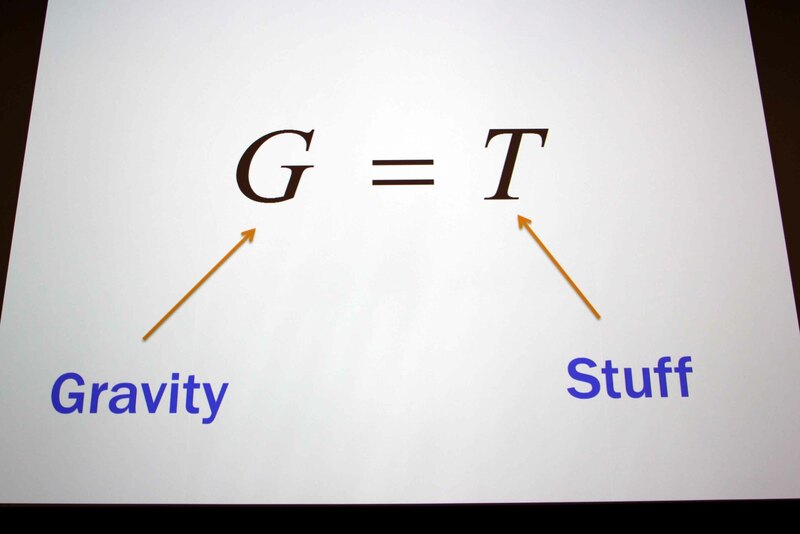 Modified gravity, in other words some modification of the left-hand-side of Einstein’s equations that manifests itself cosmologically which is more complicated than the cosmological constant. Dynamical dark energy, i.e. some other modification of the energy-momentum tensor on the right-hand side of Einstein’s equation that looks like some form of “stuff” that varies dynamically rather than being cosmologically constant. Observational error, by which I mean that there is no dark energy at all: its presence is inferred erroneously on the basis of flawed measurements, e.g. 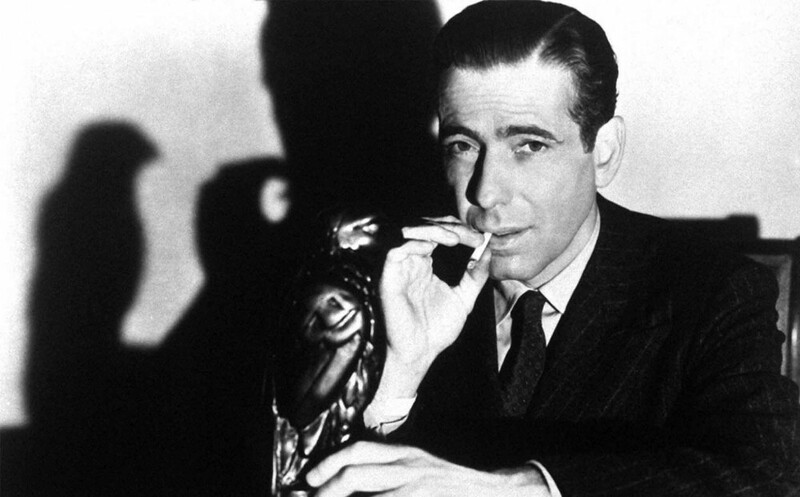 failure to account for systematics. Some other explanation – this would include the possibility that the entire standard cosmological framework is wrong and we’re looking at the whole thing from the wrong point of view. If you choose this option you might want to comment through the box below what you have in mind.